If you weren't convinced by the keywords "biopic", "physical disability" and "heartfelt", then let me confirm now...yes, this is an "Oscar movie". If I were a betting man, I would put my money on the film getting nods for Best Picture, Best Actor, Best Actress and Best Original Score. A nomination for Best Adapted Screenplay also seems likely but that may depend on the quality of the opposition. I'm pretty confident in these predictions, so be sure to check back here in January to see if these bets would have proven profitable. 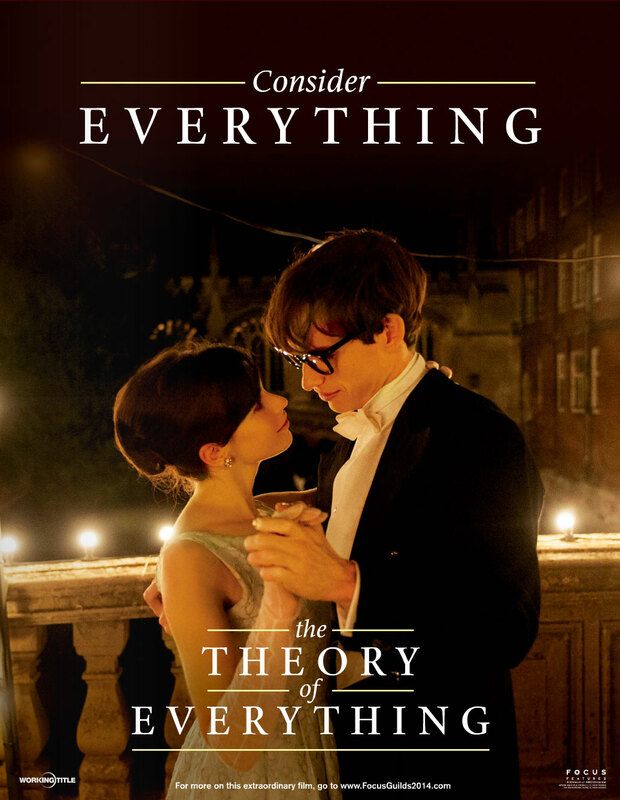 The Theory of Everything offers interesting characters and standout acting. I wish it had delved deeper into its characters, but for what it is -- a romance involving one of the great minds of humanity -- it's engaging and moving.